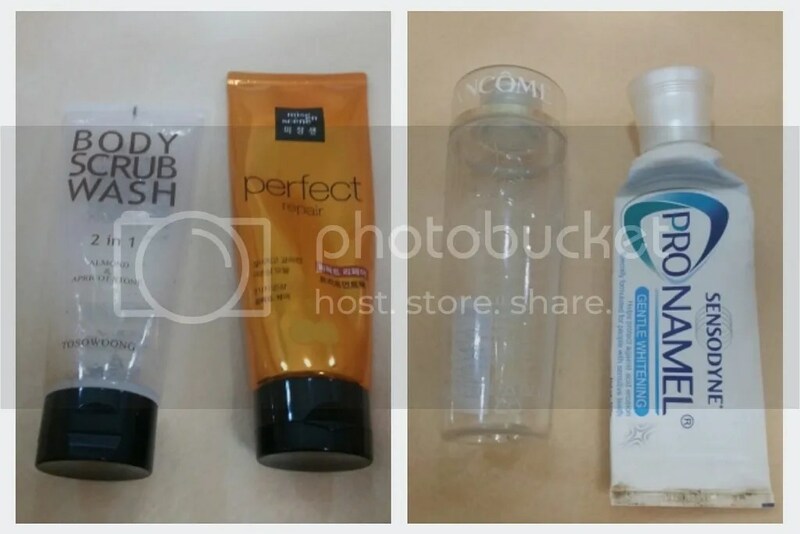 After the largest empties post last month, this month’s empties post feel a little… empty. I was thinking of doing it in one post, but it’s still quite a bit to run through! Plus life has gotten a little bit busy, and by a little I actually mean a lot, so it’s easier for me to sit down and run through 10 items at a go than to go through over 20 items. I love doing empties post, but they really take a lot of effort. ♣ No idea as it’s too small, no opinions or have no impression of. ♥♥♥ Neutral/ok; will not repurchase. ♥♥♥♥ Liked; but may or may not repurchase. ♥♥♥♥♥ Holy grail; will repurchase or have repurchased. Got this from a Memebox when they still mailed internationally; I like this. It’s scrubby, but the scrubs are not too hard and it’s quite small. It lathers well but I do wish that the scrub was a little rougher, though it’s not too bad. It smells quite nice too. Another item I got in a Memebox; also a pretty good item. My hair felt quite nice and soft after using this; I don’t use this as a treatment pack though, more like a conditioner. I got this as a gift during Christmas. This was really popular for a while and a lot of friends I know recommended it but I never bought it for myself because it’s pretty pricey. I really like it – it removed waterproof makeup very easily, without needing to rub or tug at the eye. It did leave behind an oily film though, which I have to remove again with another cleanser or cleansing water. Sensodyne is my favourite toothpaste brand. Will always come back to this! Stole this from a hotel room. I love taking toiletries from hotel rooms! This smells pretty nice and lathered up pretty well, but didn’t dry out my skin. It reminds me a lot of a Philosophy Shower – I think it’s in Amazing Grace; same colour, similar texture and foaming action, slight difference in scent. Been using this at the Gym; it worked well that way because I like having a nice clean feel after a good exercise, and this really makes your skin feel very clean. I think it’s pretty drying though; my skin felt squeeky after cleansing with this. This foams up a lot. On the other end of the spectrum is this Astalift Cleansing Gel – which does not foam up at all. I don’t really like this – because it’s a gel and it’s kinda hard to clean your face with a gel, I feel. Because it doesn’t foam up like a foaming wash, and doesn’t actually allow you to rub it around the face like a balm – it just basically ‘disappear’. Not a fan. A couple of items that I use like a toner at the gym. I think in Asia, a toner is kind of treated/viewed in a slightly different way. In the Western world, a toner is expected to be a final cleanse or as an exfoliator, but here, it’s kinda of a “softener” or just as a first layer of moisture to prep the skin for later stages of moisture. I like both items, but probably wouldn’t repurchase as I have a ton more toners to go! 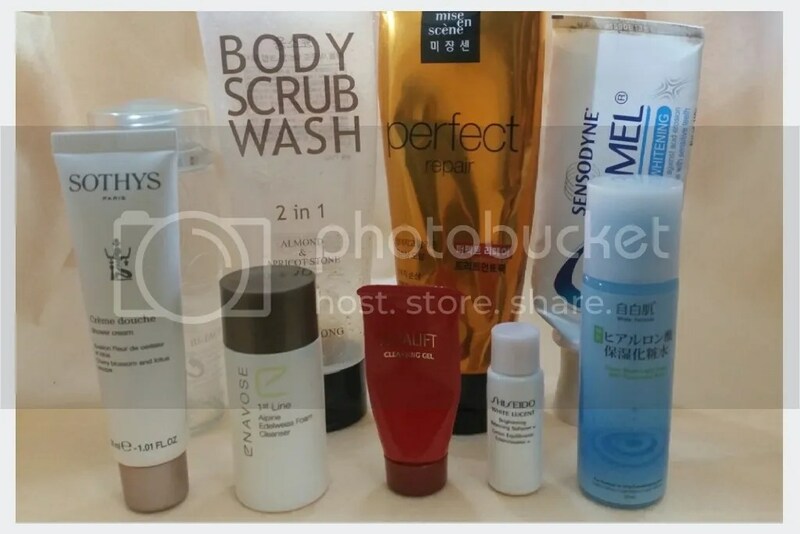 It must have been a really long while since I’ve done only 9 items in an empties post! 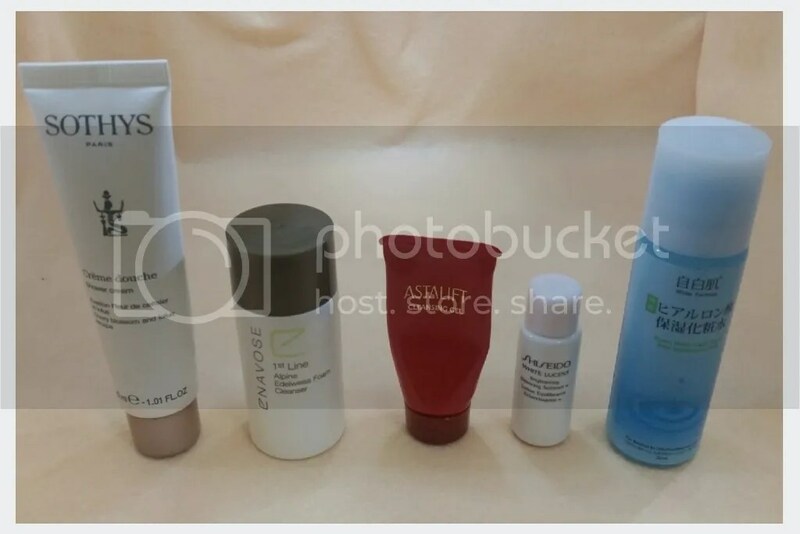 For all of you who love reading empties post, don’t be upset because Part 2 will be coming up soon, with a lot more empties – some makeup, and more skincare!